TheBunnieHole | Vancouver Youtuber & Blogger: 2013 | Bloggy Resolutions & New Adventures Await! 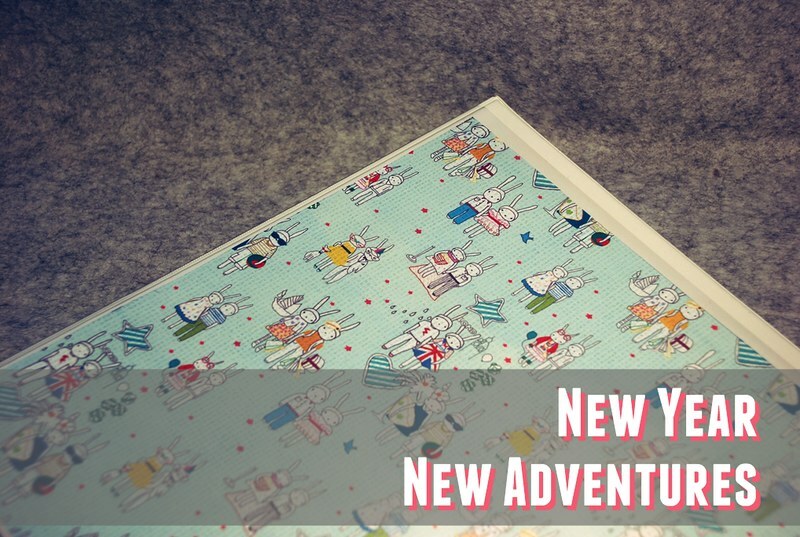 2013 | Bloggy Resolutions & New Adventures Await! A fresh new year always makes me a little anxious, it's the perfect opportunity to start on things you've always wanted to do but yet too often we are left unsatisfied at December by how much we have actually accomplished. Sounds familiar? 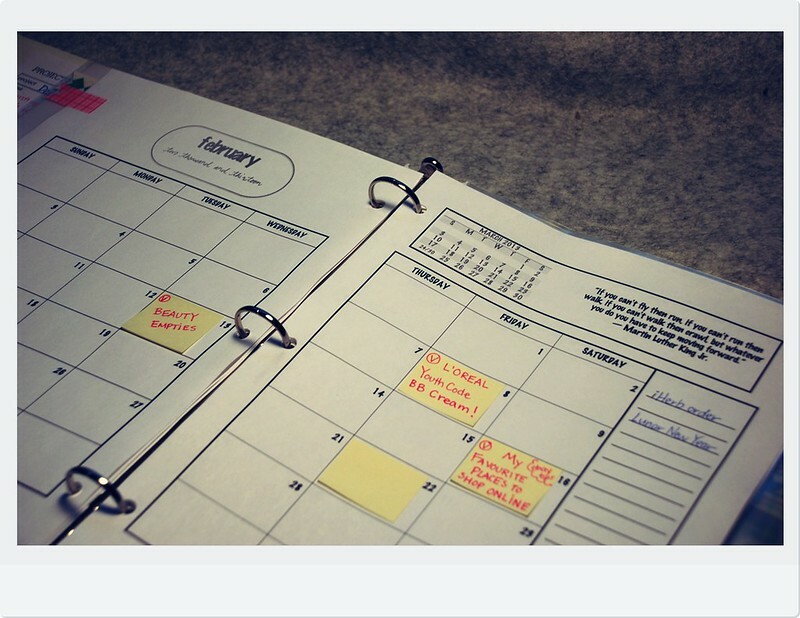 Twiddling through other people's posts I've come across several suggestions of the "sticky note" method to organize blog posts which seemed like the perfect thing for the ever shifting blog schedule. 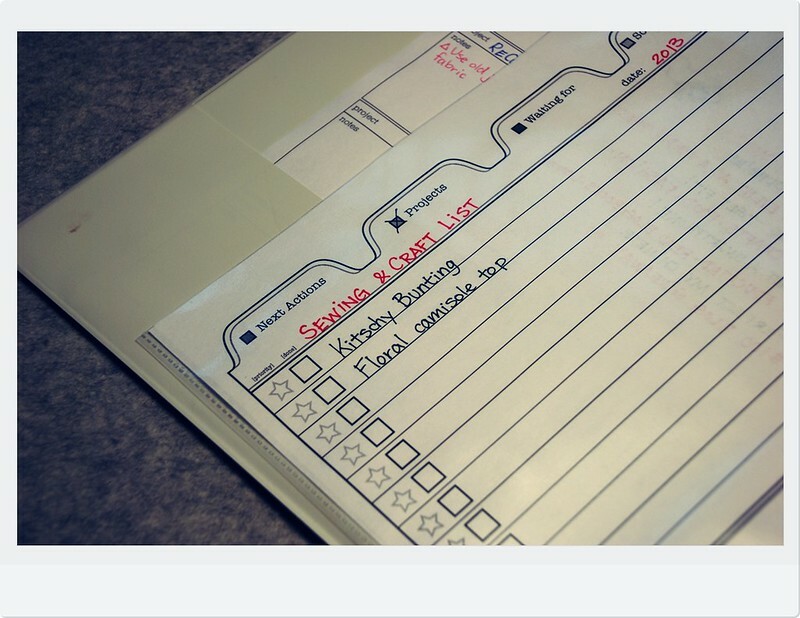 After several days of searching and editing, I've finally put together a satisfying blog binder with large monthly pages (find it from Maia The Bee here) for my stickies and which I can also add project pages for other lists and resource materials that I will be collecting. I love the visual quality of this format which allows me to see exactly what's coming up so I can work on it accordingly. Buy a DSLR camera for blogging and filming. The camcorder isn't cutting it for me and I am itching to upgrade. This is top priority right now. Get educated on the art of filming, lighting, macro photography and possibly even some html so I can do what I love to do but better. There are also so many finer details about running a beauty blog that I need to learn from others. Loose the few extra pounds that just won't go away, you may not see where they ended up but I haven't been able to shake those extra 10 sneaky pounds for months! I've also realized I haven't been so happy trying on clothes recently so it's time to find something I love and get fit. I want to pick up on crafting again, so I'm setting myself to do one craft project a month minimum therefore I can start wearing the things I wanted to make. Being able to plan them out in advance means I can buy any materials I need ahead of time. This year I'm setting for myself more realistic goals, taking more manageable smaller steps so there's always small achievements to celebrate rather than one big mountain which I will dread to approach at all. Remember that small daily actions add to big results at the end so let's all start on our goals today! We have some similar goals here! But it's good to start the year with a fresh perspective. i love the calendar idea a lot actually, i'm going to print that out and do that, thats a really great idea haha thanks!! and good luck with your resolutions, i haven't like sat down and made a list of resolutions, but if i were too, (which maybe i will now) would be to get fit, and another would be to craft more! once a month is a good, reasonable goal i think, it's very doable! love the blog girl! Just saw your latest creation Kaila and it looks gorgeous on you. I'm a big crafter at heart but as life goes there always seem to be other more "important" things to do. But this year I'm gonna put aside some time just for sewing and I can't wait to show everyone my monthly projects when they're done. Good luck and keep up the good work :) I can see you have both short and longterm goals there and i'm sure you'll have no probz achieving all of the above! I've been wanting a DSLR too for the longest time, but I got gifted a Sony Cybershot DSC-WX 150 and honestly the quality and functions are right up there with DSLR's. The video quality is amazing too, especially if you plan on vlogging it has the stabilizer built in. Plus it's under $300, so it' like perfect. Thanks for the tip Elle, I'll go take a look. My very first digital camera was a Sony! We'll be get fit buddies!